Do you have problem with opening unknown files? We will help you. File extension - what is it? The file extension is a certain part of the full name of the file. It includes information about the manner and type of data stored in it. This is usually a combination of several characters appearing after the last dot in the file name displayed on screen. Thanks to these characters, we can find out what program supports a given file. However, file extensions are not always displayed at the file name. Sometimes a computer hides their names. This setting can be edited in the Windows Control Panel, under "Appearance and Personalization" and then "Folder Options". Common problems with file extensions. 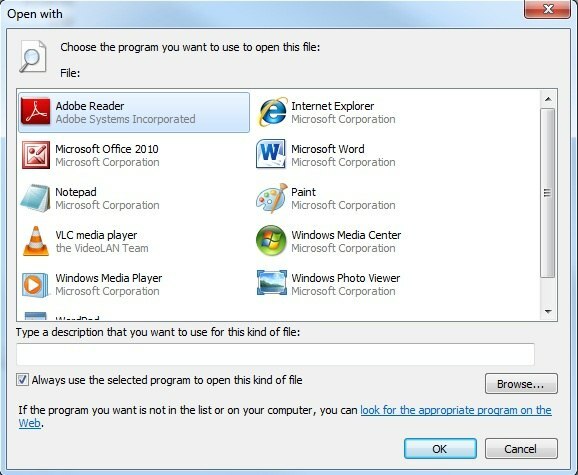 The most common cause of the problem with opening the file is its incorrect association with the program in the registry. This means that the operating system did not assign to a specific file extension any program that supports it. This setting can easily be edited in the Windows registry. If the file has been saved in a format not readable by the dedicated software, in order to open it, one should perform the conversion. For this purpose, a special program should be used that has a converter that easily makes changes to the file format to be read.